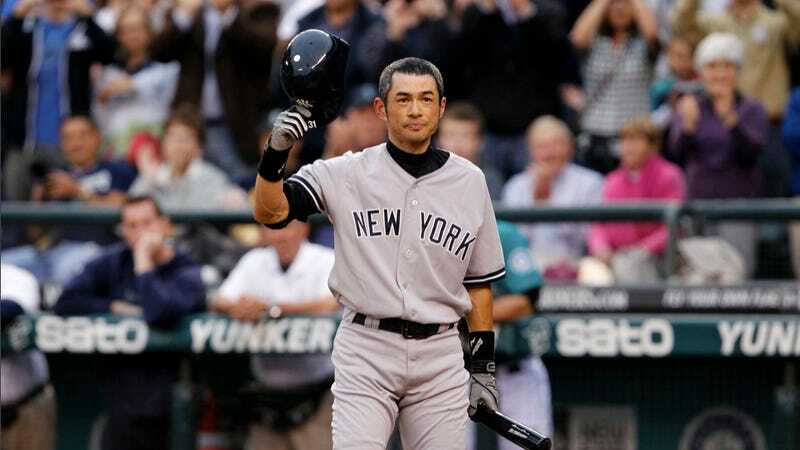 After 11 seasons with the Nintendo-owned Seattle Mariners, Ichiro Suzuki was traded today to the New York Yankees. During his Japanese language press conference, Suzuki expressed his gratitude to fans and to the video game maker. Suzuki specifically thanked former Nintendo honcho Hiroshi Yamauchi and current Nintendo boss Satoru Iwata as well as the CEO of Nintendo America. In the early 1990s, Nintendo purchased the Mariners—a controversial move at the time because the idea of foreign company owning a major league team upset many baseball fans. Suzuki requested that he be traded because he felt that he was no longer of use for a young team like the Mariners. "Thinking of leaving a team you've played so long for is sad, and extremely difficult," Suzuki said at a press conference today (via the Mainchi Daily News). "During the All-Star break, I had time to think things over. I decided there was no need for me on a team being built around players in their early 20s." "Personally, I felt I might be better off in new surroundings." Tonight, Ichiro took the field in a Yankee's uniform, bowing to the fans and slapping a base hit up the middle. There's no better way to say "thanks" than that.